At 92 proof & our oldest whiskey, this is the first WhistlePig product finished in Vermont Estate Oak harvested right from our farm. Vermont oak has more rings than the standard oak used in whiskey barrels, and each ring is an opportunity to impart more flavor and depth in the whiskey. With a score of 97 points from Wine Enthusiast and perfected over 15 years, we are proud to offer this pure expression of Vermont's best. 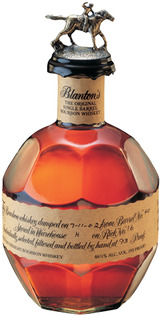 Nose: Deep and rich, dominated by caramel, vanilla, and oak with hints of allspice and burnt orange. Palate: Warm, rich, and slightly creamy. Loads of butterscotch and baking spice with leather and a hint of tobacco. Finish: Ultra long and rich, warm, and inviting. This remarkably complex sipper leads with caramel and vanilla, then reverberates with rounded dried fruit, sherry and almond, fading into a long, gentle baking spice finish. Made with 100% rye sourced from Canada, this is finished in barrels made from Vermont oak and bottled in Vermont.